Welcome to Lions Clubs of Bangalore Samatva!!! LCB, Samatva was inaugurated by Lion P.S.Premnath, Past Dist. Governor on 15th December 2011 at the Bell Hotel, Bangalore. New members were inducted by LIon M.V.Deviprasad, 1st Vice Dist. 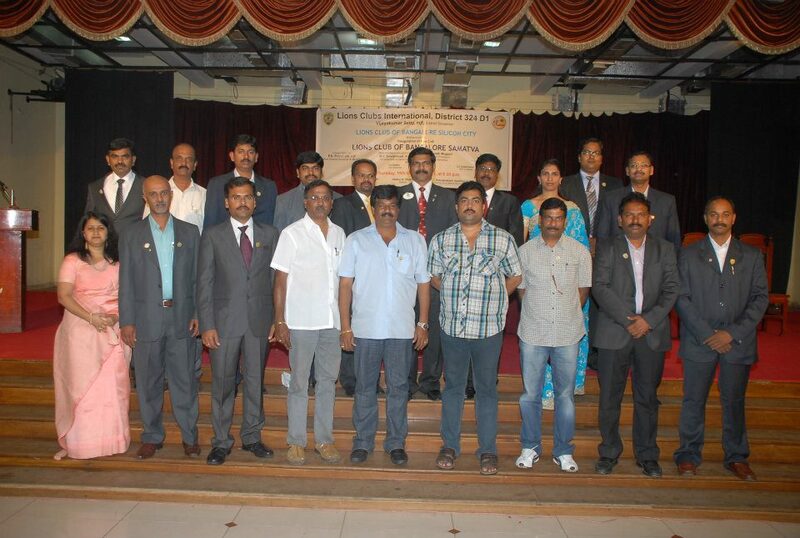 Governor and the event was presided by our sponsor club, LCB, Silicon City, President Lion Kiran Prabhu. LCB, Samatva was chartered on 9th January 2012 and the charter was presented to the club by Lion Vijay Kumar Shetty, District Governor - 2011-12. LCB, Samatva sponsored a new club namely Lions Club of Bangalore, Fountainhead in the year 2012.